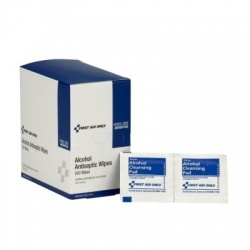 Cleansing wipes are very handy whenever you need clean hands to work on a minor emergency wound and don´t have access to a sink to wash them. 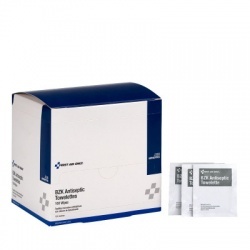 Make sure you have some in your first aid kit, but being prepacked in individual packets, you can also keep them in your purse or wallet, as long as you know that anytime you need them, they will be there for you. 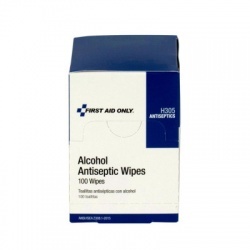 Make sure you also have at hand our hospital quality Antiseptic Cleansing Wipes in case you need to get rid of germs on any open wound. 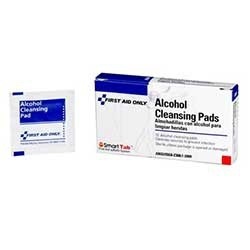 Cleansing Wipes There are 13 products. 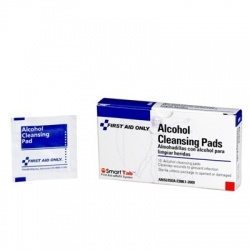 Antiseptic cleansing wipe (sting free) - 100 per box Case of 10 @ $4.82 ea. 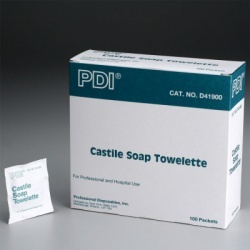 Antiseptic cleansing wipe (sting free) - 100 per box Case of 10 @ $4.82 ea. Benzalkonium Chloride Antiseptic Towelette - 100 Per Box Case of 10 @ $5.65 ea. 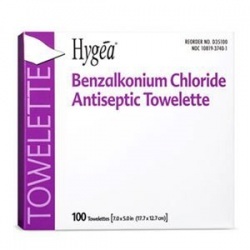 Benzalkonium Chloride Antiseptic Towelette - 100 Per Box Case of 10 @ $5.65 ea.